Packaging « ITOCHU Automobile America Inc. Exceptional systems support is often one of the value-added services our customers cite as their “favorite”. UNIPAK leverages the Manhattan Associates “Best of Breed” warehouse management system; fully integrated with the Microsoft AXAPTA AX (ERP). These Windows® native, RFID compliant tools help us provide exceptional inventory integrity and allow the customer to communicate with IAAI utilizing a variety of methods, including real-time Internet visibility. Through our WMS Internet portal, our customers benefit from a variety of interactive services including order entry and “real-time” inventory information. Imagine being able to see your inventory as it moves through the supply chain in real time over a secure WEB, 24 hours a day, from anywhere in the world. Generally the cost is included in the warehouse service package, which is often far less than our customers were paying when they “did it themselves”. From large jobs to small jobs, we can do it all. WHAT CAN UNIPAK DO FOR YOUR COMPANY? UNIPAK will provide high quality, competitively priced, value-added packaging services to our customers, while supporting the overall mission of IAAI. Creating high quality, uniform kits is a UNIPAK specialty. While our customers number among some of the largest companies in the world, we also serve local Cincinnati area businesses that need help with smaller jobs. 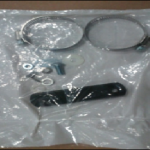 As a wholly integrated division of IAAI, UNIPAK provides the labor, equipment, location and knowledge to create and assemble the best kit package for your company’s product. UNIPAK has the skill and dedication to manage your kitting needs. We specialize in small and irregular projects; something most packaging companies won’t touch. 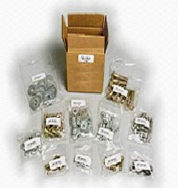 Whether part of a kitting function, or individual item, UNIPAK offers a wide array of bagging options. 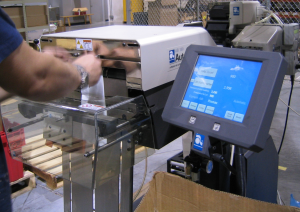 Using our auto-bagging systems, we can create small quantities and limited job runs at competitive prices. Process integration is the core philosophy behind the IAAI’s business model. Through our UNIPAK division, IAAI integrates warehousing, packaging and transportation in one operation, eliminating the need to ship product to a third party packager and back. Products move seamlessly from the manufacturer to the packager, to the warehouse and on to the customer, reducing cost and improving your bottom line. UNIPAK offers a complete contract packaging solution that can include the purchase, storage and inventory management of specialized packaging materials. Kitting is a tedious job. As a result, many “do it yourself” companies struggle to maintain high quality. As a supplier to the automotive industry, and an ISO Certified organization, UNIPAK must provide exceptional quality. We map every process to our customer’s requirement to ensure consistent, high quality results. Whether kitting components, bagging small parts or processing large shipments IAAI and UNIPAK employ LEAN science such as process control boards in a KAIZEN environment of teamwork.